As a San Francisco Bay Area native, I have an innate sense of pedestrian entitlement which has proven to be a major hazard in Torino, where car is king. Cars do NOT yield to pedestrians and bikes here, and if for some reason you forget this basic fact, the car coming at you will happily remind you by accelerating in your direction. 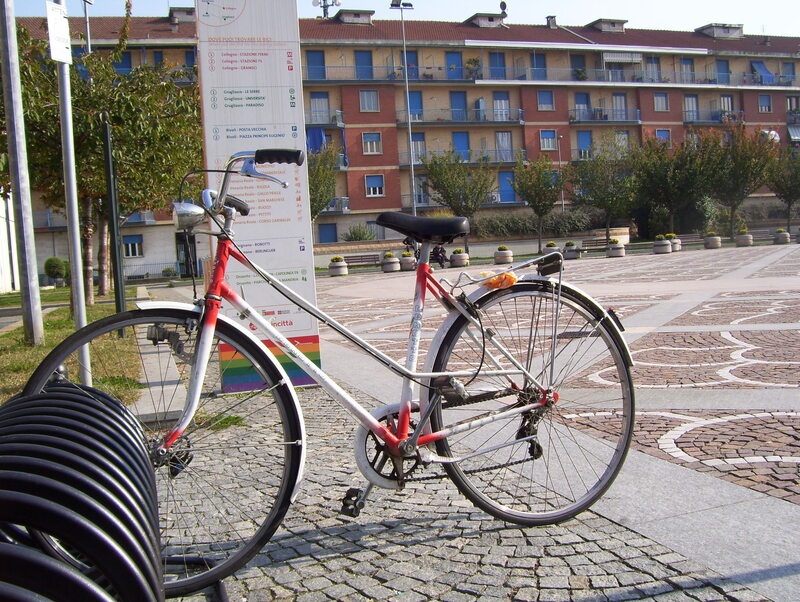 A major goal of Torino’s regional plan has been the improvement of the pedestrian environment, and a small but vocal bike advocacy community has also made great strides in improving bike facilities as well. 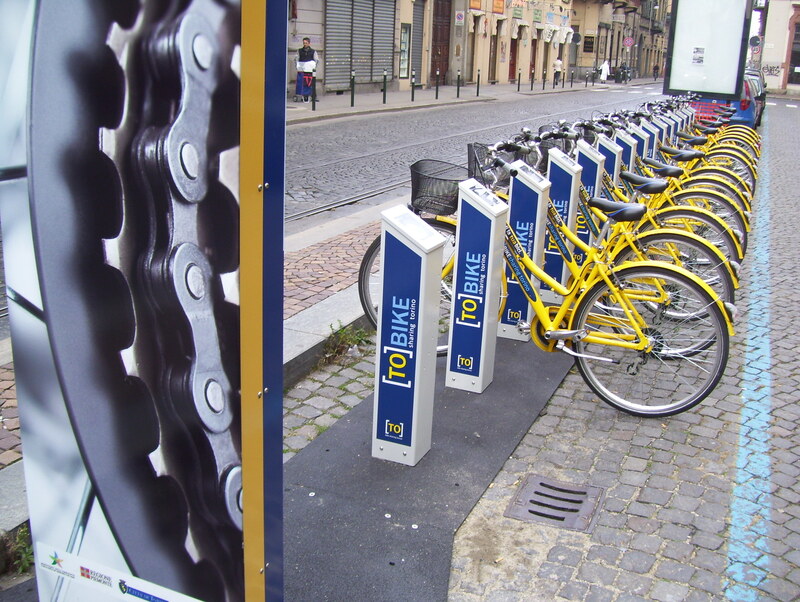 Both the city and the suburban bike sharing programs are run by a single private company, and – according to the Mayor of the little suburb of Grugliasco – the program in his city is revenue-neutral after just one year in operation. I was shocked to learn that until recently, many of Torino’s beautiful and historic pedestrian plazas had in fact been open to cars. The beautiful Palazza Madama, a 14th century castle in the middle of the city’s large central piazza was, for many years, completely surrounded by gigantic traffic circle! Locals joked that it was the most scenic traffic circle in Italy. The large cobblestone courtyard in front of the Royal Palace (where the first King of Unified Italy lived) had been converted to a parking lot! As part of the city’s renovation, many of these spaces in Torino and the surrounding cities have been reconverted to pedestrian use. 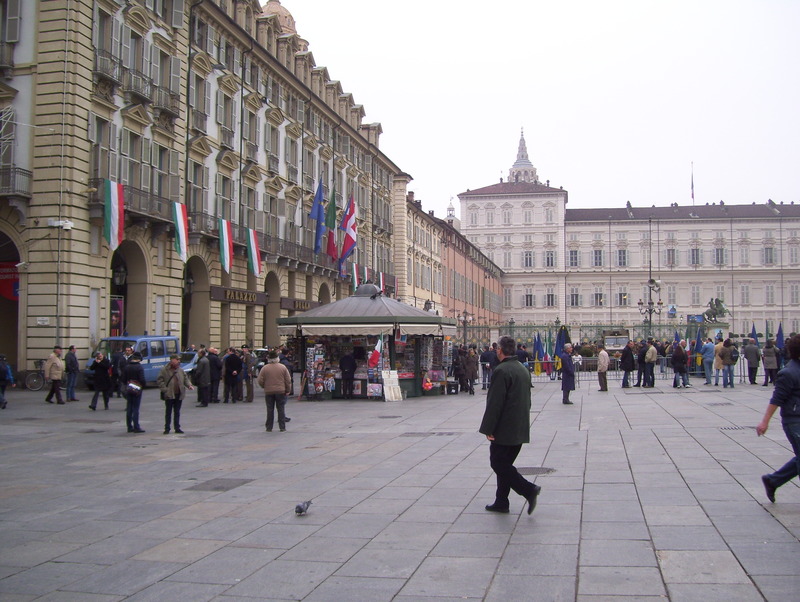 Torino's central piazza, with the royal palace in the background, was a giant parking lot for most of the 20th century. 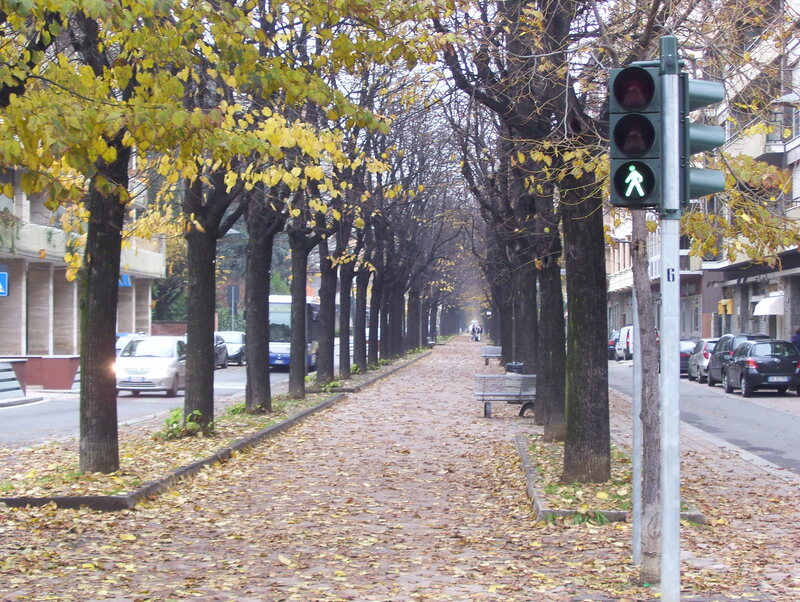 In recent years, Torino and its surrounding cities have also spruced up their old pedestrian walkways that line some of the older neighborhoods, such as this one in Grugliasco. 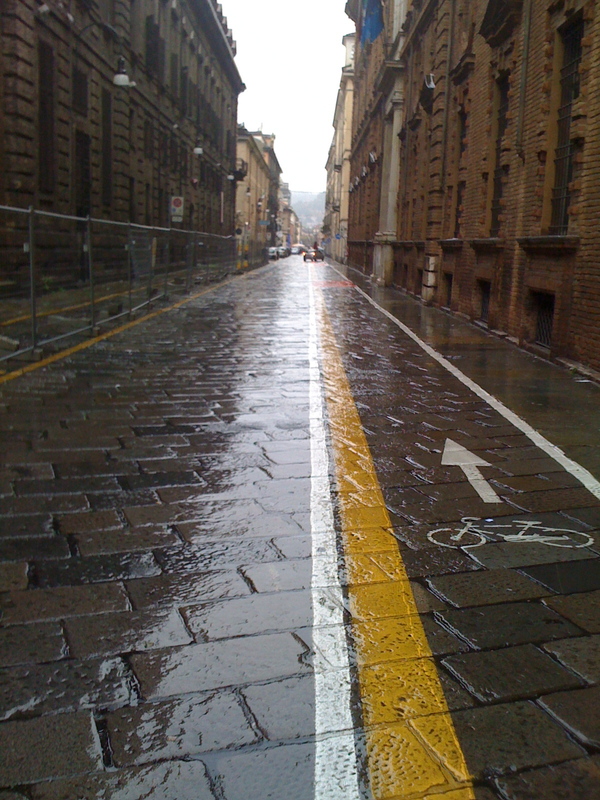 New signals and repaved cobblestones are a few of the pedestrian improvements on this walkway in Grugliasco. 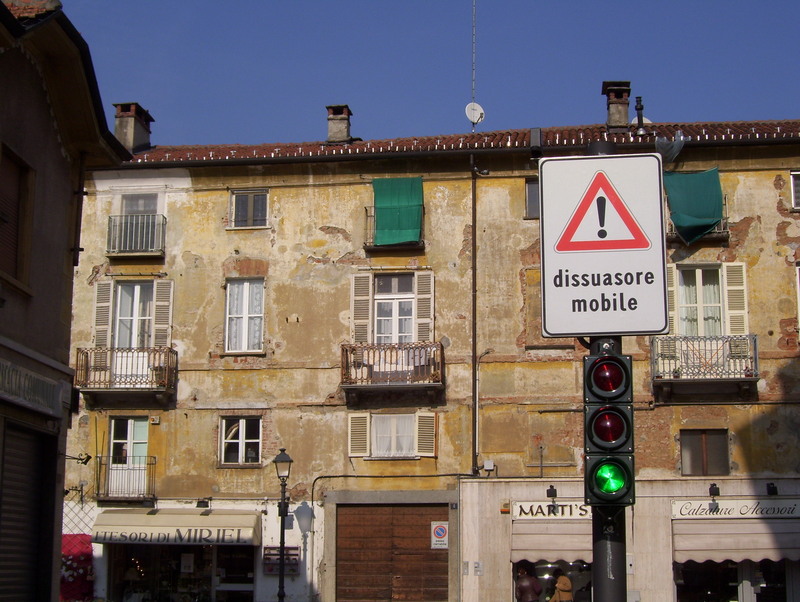 Will these changes eventually lead to a change in the relationship between cars, pedestrians and bikes in Torino? Its hard to say, but I’m encouraged both by the projects already undertaken, and the emergence of citizens groups that are well-organized and making an impact. Great post! It’s funny to see the last picture, which made me realize how seldom we see bike related photos taken in the rain. My organisation is trying to increase walking and cycling in Glasgow, Scotland. Its hard work, the local authority and Scottish Government produce a lot of rhetoric and paperwork about health, activity and cycling about one of the West’s unhealthiest cities. But getting any real action is almost impossible, and there has been a steady removal of walking and cycling facility during the last decade. But you’ve got to keep trying.